The world’s biggest cryptocurrency exchange is to open a base in Malta, Prime Minister Joseph Muscat confirmed on Friday. Binance has been in talks with Maltese banks and plans to create a "fiat-to-crypto exchange" on the island, providing its almost 8 million users with an easy way to deposit and withdraw funds from the platform, according to Bloomberg. News of Binance's move to Malta broke just as Japan's financial services agency ordered the Hong Kong-founded exchange to suspend its operations there. The Financial Times reported news that Japanese regulators had decided that Binance was violating Japan's rules on fund settlement, because it did not have the appropriate registration to accept Japanese trading. Set up in Hong Kong, Binance was forced to move its servers in September 2017 after China banned cyptocurrency exchanges. The company has since moved its registration to the Cayman Islands. With the company plagued by regulatory uncertainty - a common problem in the mostly unregulated crypocurrency sector - it is hoping for regulatory clarity in Malta. "Malta is very progressive when it comes to crypto and fintech. 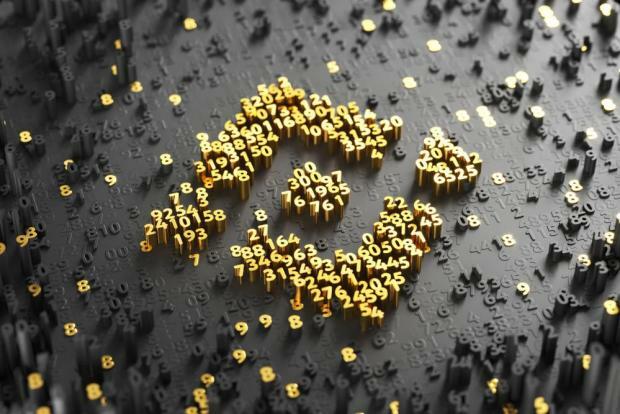 We think it is a good place for other crypto businesses to look into as well," Binance CEO and founder Zhao Changpeng said on Twitter. Binance is believed to be close to securing a deal with Maltese banks, with Mr Zhao promising a Malta-based “fiat-to-crypto exchange”. A "fiat-to-crypto" gateway is essentially a direct path through which traders can buy and sell cryptocurrencies for traditional, so-called "fiat" currencies such as the Euro or US dollar. The vast majority of cryptocurrency exchanges only allow traders to exchange cryptocurrencies against key tokens such as bitcoin or etherium, with traders who want to buy in or cash out forced to resort to a restricted number of third party exchanges which provide a "fiat" gateway, such as Coinbase. Late last year, Bank of Valletta had started blocking all transactions to such exchanges without notice. It did not provide a reason for the decision, with Digital Economy parliamentary secretary Silvio Schembri subsequently saying that the move was likely temporary. Since then, the government has made a concerted push to introduce regulation for blockchain technology and virtual currencies: Malta's financial regulator has launched consultation processes to begin regulating such currencies and the government has said it intends to develop a "Virtual Currency Act". According to Bloomberg, Binance's CEO Mr Zhao was among the people consulted as part of that regulatory process. “Welcome to #Malta @binance,” Joseph Muscat tweeted in confirmation of the news. The exchange’s relocation was also welcomed by Dr Schembri, who said more such announcements were in the pipeline. Mr Zhao downplayed news of the Japanese regulatory crackdown, saying the company was working with regulators on solutions and insisting Japanese trading only made up seven per cent of the company's trading volume. Binance is the world’s largest cryptocurrency exchange by trading volume, with traders having moved more than US$1.6 billion through the platform over the past 24 hours. Speaking in Brussels later, Dr Muscat said this investment could be possible because Malta was at the forefront in the world to regulate the operation of digital legder technologies companies such as Blockchain. He said he had several meetings with a number of companies in this new sector that wanted to invest in Malta. Binance is expected to employ some 200 people. The country’s challenge, he said, was to have enough trained personnel and for this aim discussions were underway with the university for courses on new technologies to be set up. The country had done the same for the gaming sector and it was then copied by other countries.